Analysis: Taylor actually finished third in wideout targets, but he remains stagnant in a fourth-receiver role. It didn't help that the 24-year-old dropped a wide open pass on a crucial drive in the fourth quarter. Barring unforeseen absences ahead of him on the depth chart, Taylor will be a non-factor in a Week 16 matchup against the Bears. Analysis: Marquise Goodwin (personal) returned to action, but Taylor was able to hang on to the fourth receiver role ahead of Richie James (zero targets). Taylor even took over punt return duties after James fumbled a return for the second straight week. Despite the slight bump in duties, the 24-year-old remains a non-factor in fantasy with just five receptions over the team's last six games. 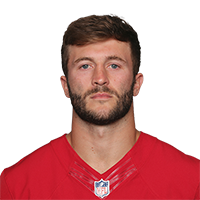 Analysis: Marquise Goodwin (personal) and Pierre Garcon (knee) remained sidelined, but Taylor still finished fourth in targets to wide receivers for the second consecutive week. 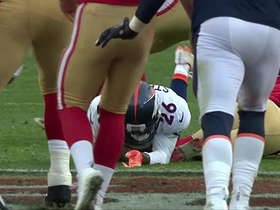 It has become apparent that the 24-year-old has fallen out of favor in San Francisco, mitigating his fantasy value heading into a Week 14 matchup with the Broncos. 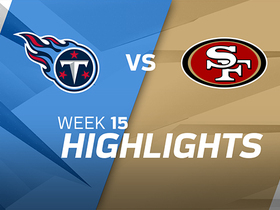 Taylor brought in his only target for 12 yards in Monday's 27-23 loss to the Giants. Analysis: Taylor was a healthy scratch last week, but he re-entered the wide receiver rotation with Pierre Garcon (knee) sitting this one out. 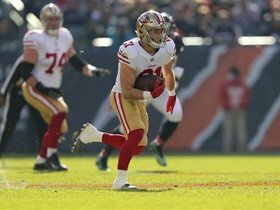 The 24-year-old started the season as the 49ers' primary slot man, but his recent limited usage indicates that the team is going to give other options a larger look moving forward. Taylor will be off the fantasy radar when San Francisco returns to action Week 13 following its bye. Taylor is active for Monday's game against Giants. 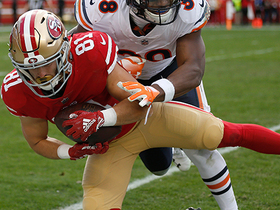 Analysis: A healthy scratch in the 49ers' most recent game Nov. 1, Taylor returns to a receiving corps without the services of Pierre Garcon (knee). 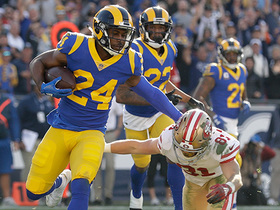 Expect George Kittle and Marquise Goodwin to dominate the attention of Nick Mullens, but Taylor could wrest offensive snaps from fellow wide receivers Kendrick Bourne and Richie James. Taylor (coach's decision) is listed as inactive Thursday versus the Raiders. Analysis: A back injury has plagued Taylor at times since mid-May and even forced a DNP in a Week 6 visit to Green Bay. In two games in the meantime, he's been sparsely used, turning just five targets into two receptions for 13 yards. 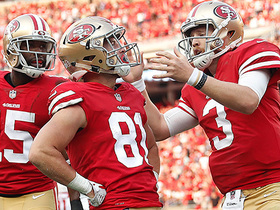 Expect Marquise Goodwin, Pierre Garcon (shoulder/knee) and Kendrick Bourne to get the most attention from fill-in starting quarterback Nick Mullens in the passing attack. 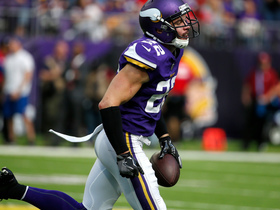 Minnesota Vikings safety Harrison Smith intercepts a pass from QB Jimmy Garoppolo to seal the Vikings win. 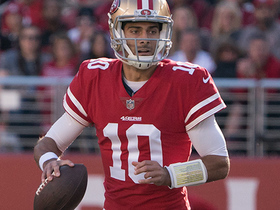 San Francisco 49ers quarterback Jimmy Garoppolo escapes traffic, throws pinpoint pass to convert on third down. 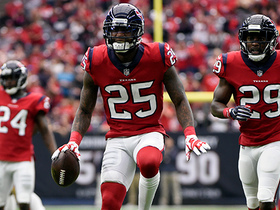 Houston Texans cornerback Kareem Jackson intercepts 49ers QB Jimmy Garoppolo to prevent a march into Texans territory. 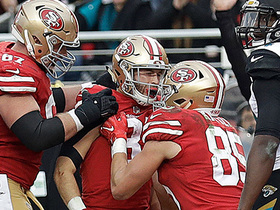 NFL Network's Peter Schrager explains why 49ers wide receiver Trent Taylor is his underappreciated storyline of the week.